When Elite Shipping Ltd agree to place a booking on your behalf with a shipping line/ Air line we are under the assumption that you the customer has looked into the implications of moving your chosen goods into that specific country. When importing any items into a country it needs to be checked that firstly the goods are allowed into the country and secondly if that country requires any specific paperwork, inspections or permits to be done to allow it entry into the country and lastly what potential charges may apply in bringing the goods into the country. You will need to check this information with the relative governing body for the country that you are importing to. Every country has specific rules and regulations that are unique to that country, they are also updated regularly so can change which is why you check what is needed and if the goods are allowed and also once decided & you want to go ahead and are confident you know what it is required and know what charges are likely to be levied once goods arrive you check again to see that nothing has changed with the relative authorities prior to make a booking. Elite Shipping Ltd are here to assist and guide you wherever possible, if you find out you require specific paperwork or inspections needed we will advise you if we can assist with it. We do carry out consular work and other required paperwork but would only ever undertake this if it is requested, so never assume that we do this on your behalf as it is ultimately your responsibility to look into what is needed for your chosen destination. Most shipments that we arrange are generally to the port only unless we have specifically quoted you a “to-door”, this means that when your goods/cargo arrive there will be local customs clearance to arrange, unless we have advised that we have included customs clearance (in most cases not) this is something you the customer will need to arrange at destination, we can often put you in touch with another company or agent that can assist you with this. Even if you are shipping goods to another EU country there is often some sort of process for customs that may have to take place, so its better to check before you undertake a shipment exactly what will happen when the goods arrive. If we have given you a quote to include customs clearance this of course subject to the fact that your goods will clear through customs and that you have checked that your goods can enter the country we are only advising you what the clearance fee is, by quoting clearance we are not advising you that your goods are suitable to bring into the country this is to be checked by you. 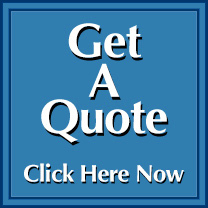 Elite Shipping Ltd will never automatically include marine insurance on any quotation. We are able to offer insurance for your shipment (subject to the commodity and value) via a broker. We would need to know the value of the goods and then we can advise the charges and options you may have. We would always recommend that a basic level of insurance is taken out each time you ship. Elite Shipping Ltd always ship your goods in the most timely manner possible to get your goods to you as fast as possible. We will advise you of departure dates and arrival dates this information is provided by the carrier we book with on your behalf. . We can only ever give you estimated dates of departure and arrival. Shipments can depart later than the original date give and likewise arrive later than the original arrival date given, transit times can also increase on occasion due to delays that may occur in transit ports or adverse weather conditions. Shipping lines may not always advise us of delays to shipments or late departures. We always recommend you keep in touch with us to see how things are progressing or tracking may be available for your shipment which you can access via the internet. We would never recommend you make any travel plans or bookings of any sorts based on shipment arrival dates. Elite Shipping Ltd cannot be held accountable for any shipments being delayed or arriving late nor will we be held responsible for any charges you may incur due to this. You may have engaged ourselves to arrange for collection or delivery of your goods, in doing so you will need to have made arrangements so that 1) the vehicle coming to collect/deliver your goods has suitable access and can park and not obstruct anything & that you are available on the arranged date. Subject to what type of shipment we are arranging you may be required to get your goods onto/off the vehicle and have the facilities to load them, most collection/drop offs are to kerbside only. If you cannot load/unload vehicles then you need to let us know as tail-lift vehicles are only put in on special request. Should your goods not have been able to be collected/ delivered due to any of the above mentioned reasons then a wasted journey charge may be levied. by the haulier we engage. We may charge this cost prior to the collection/ delivery taking place and will not be refunded if we are charged by the haulier in the event that the driver not be able to pick up as intended and the cost to make further arrangements may be charged again. Elite Shipping Ltd are members of BIFA (British Association of Freight Forwarders) reg 1370. We trade under their terms and conditions which give you the peace of mind you are dealing with a reputable company. The full BIFA terms can be found on our website here. Elite Shipping Ltd are always happy to offer advice where we can but cannot be held accountable for any misinformation should it be given it is ultimately your responsibility to have checked what is needed to bring your chosen goods into your intended destination. Should you be in a situation where you have arranged shipment of goods and you have not adhered to the countries requirements for your chosen commodity or your goods are a forbidden commodity for that specific country and are refused entry or have to be destroyed we can in no way be held responsible for this or any associated costs these charges will be your responsibility and for your account. Elite Shipping Ltd believe in giving customers the facts and always being truthful as we value all our customers and want them to have a hassle free shipment with as least stress as possible. This is why the above statements are set out clearly so you the customer has access to all the information and facts before undertaking a shipment. This is what sets us apart from most companies, we are transparent and believe in letting customers know exactly what is involved when arranging shipments instead of taking on shipments under false pretenses. If you are unsure of any of the above statements then please feel free to contact us to discuss we are a friendly team who are here to make shipping simple for you so if at all unsure call us to discuss.